Prenatal Reiki treatments can be a beautiful gift to mother and baby. Reiki is a healing art from Japan that uses light touch on or just above the body to help facilitate deep relaxation, promote balance and an optimal state of well-being. The gentle nature of this bodywork is especially beneficial for expectant and new mothers because it helps prepare women for the physical, emotional and spiritual changes necessary for a “centered” pregnancy, labour and post-partum recovery experience. Reiki healing is especially useful for relieving the physical discomforts of pregnancy. The hormones associated with pregnancy – human chorionic gonadotropin (hCG) and estrogen — contributes to gastric distress. 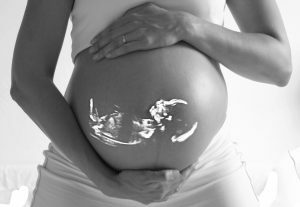 Prenatal Reiki treatments may help relax the gastrointestinal walls and can reduce or alleviate the sensation of nausea. It also can also provide relief from round ligament pain, hip, back and nerve-based pain (sciatica and carpal tunnel are two common conditions) typically experienced as pregnancy progresses. Prenatal Reiki treatments can be so deeply relaxing that people often drift off into asleep – and as any pregnant woman knows, sleep is a valuable commodity! Many pregnant women are juggling demands associated with careers, expectations from their families, changes in their relationships with their partners, and of course, in their bodies. These factors can exacerbate fatigue and mood swings. Reiki treatments can help expectant mothers reduce stress and remain more grounded emotionally. A Reiki treatment is, first and foremost, time for women to reorient themselves and their bodies during a time when they may no longer feel like it belongs to them. If you would like more information or to arrange an appointment please contact info@reikibabies.co.uk. Private one-to-one sessions are available as well as Skype/phone sessions too.